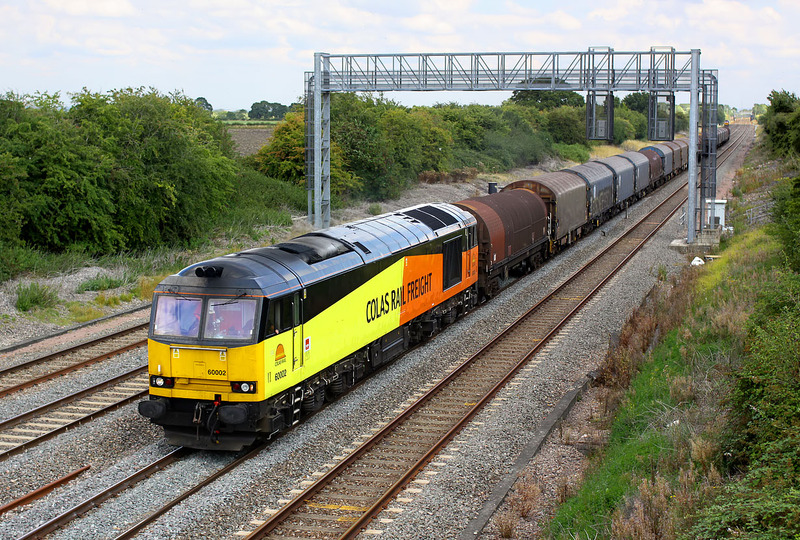 60002 passes Denchworth on 22 August 2015 with the 6V62 11:20 Tilbury Riverside to Llanwern steel empties. Unfortunately this corresponded with a cloudy spell. Of course when 66034, which can be seen in the background, passed light engine moments before it was full sun!